• Has a disability which prevents or hinders him or her from making use of educational facilities of a kind generally provided for others of the same age in mainstream schools or post 16 institutions. Inclusion is fundamental to the ethos of our school in that we see the best possible provision for children with SEND within the best possible provision for all children. We are committed to providing an appropriate and high quality learning and care experience to all children attending COA. 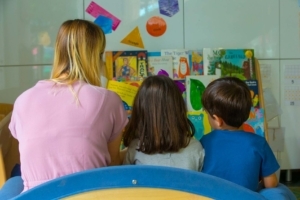 We believe that all children including those identified as having SEND have a common entitlement to a broad and balanced curriculum and quality of care which is accessible to them, and to be fully included in all aspects of COA life. This links to our mission statement and daily way of learning and working, hence we have developed our SEND Policy within our Inclusion Policy. If you would like more information or to download our SEND policy then please click Inclusion and SEND 2017.